MUMM-RA calls upon the DRILLER to kidnap PANTHRO with the aid of sleeping potion. MUMM-RA makes a mold of the sleeping PANTHRO and creates a PANTHRO CLONE, bringing it to life with the spirit ghost of HAMMERHAND. MUMM-RA drops the real PANTHRO into the Bottomless Chasm. The CLONE spreads destruction and terror on Third Earth and attacks the villages of the WOLLOS, WARRIOR MAIDENS, and BERBILS. The villagers believe the THUNDERCATS have turned against them. The real PANTHRO escapes from the Chasm in time to save their reputation and to confront the horrendous CLONE. LION-O uses the Sword’s power to aid PANTHRO in destroying the CLONE. The angry spirit of HAMMERHAND returns to MUMM-RA and smashes the PANTHRO mold. Trust between friends and moral judgment in general is based on a true reading of one’s character, intention, and action, not on misrepresentation or false judgment based only on appearances. However damaging appearances may seem, one must be sure of the reality before making inferences about another’s intentions and behavior. 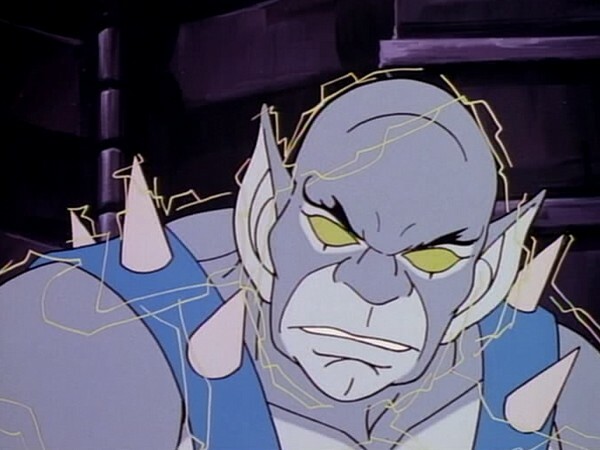 What evil deeds the Wollos and even the ThunderCats attributed to Panthro turn out not to have been performed by him, and it is shown he has not betrayed his character and been untrustworthy by intending evil. Concern for truth and the capacity for moral judgment often demands penetrating superficial appearances to reach the underlying character and intentions of individuals. The ability to differentiate between events that are intended and those not intended or accidental and the ability to differentiate between types of intended actions, good or bad, develop over time in children. Younger children tend to rely on the consequences of one’s actions rather than intentions in ascribing blame. “Children by approximately 6 years of age appear to be able to infer whether another person’s actions are intended or accidental and to use such inferences in assigning blame or credit. This tends to be the case whether the consequences of the action are good, neutral, or negative, but not when they are extremely negative. At this same age, children use information about whether intentions are good or bad if positive consequences are negative” (Shantz, 1975, p. 295). In evaluating and teaching moral judgment in children, it is helpful to distinguish outcome and intention in the sense of intended vs. accidental actions and good, neutral, and negative consequences. SHANTZ, C. U. (1975). “The Development of Social Cognition.” In E. M. Hetherington (Ed. ), Review of Child Development Research (Vol. 5). Chicago: U. of Chicago Press. 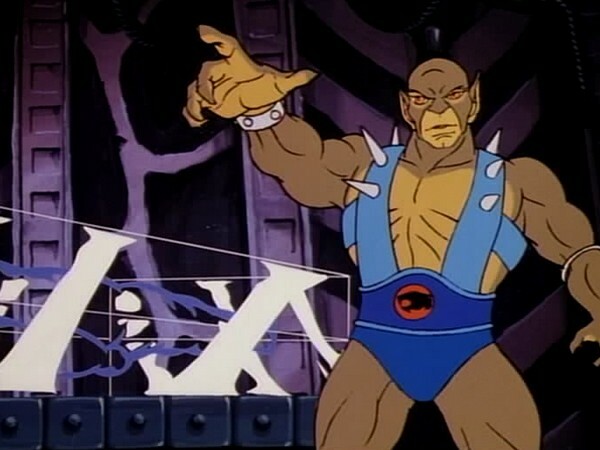 The concept of, to use Panthro’s words, “a ThunderCat gone bad” was first explored in the ThunderCats series in “The Ghost Warrior”, when the ThunderCats run up against the ghost of Grune the Destroyer, a ThunderCat renegade. However, this episode takes the concept one stage further, exploring what would happen if one of Third Earth’s ThunderCats were to turn evil, and does so ingeniously. This episode is without question one of the ThunderCats series’ darkest offerings. The tone is set instantly, with the majority of act one taking place in Mumm-Ra’s pyramid, and the tone rarely lightens. 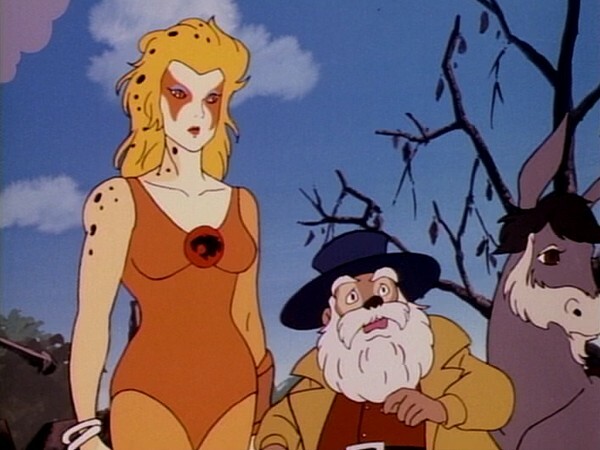 There is no Snarf comic relief in this episode, and there is no sense that the danger that the ThunderCats face is trivial. Instead, Mumm-Ra is at his menacing, malevolent best, delivering dramatic and domineering lines of dialogue, and successfully kidnapping Panthro with relative ease. Often in animated series of this period and genre, the villains would regularly foul up the missions that they would execute, thus allowing the heroes an easy way of foiling their schemes. 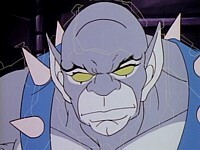 Yet in this episode none of that form of storytelling is in evidence: the Driller’s kidnapping of Panthro is executed to near perfection, Mumm-Ra’s cloning of the ThunderCat engineer works perfectly, the clone itself is flawless, and Panthro is only able to save himself from the chasm through a combination of luck and Herculean effort. All the while, the sense of threat and real danger to the ThunderCats is very much in evidence. Although because of the show’s target audience there is a limit to how dark and graphic the content can be, this episode nonetheless pushes the boundaries almost to their limit. 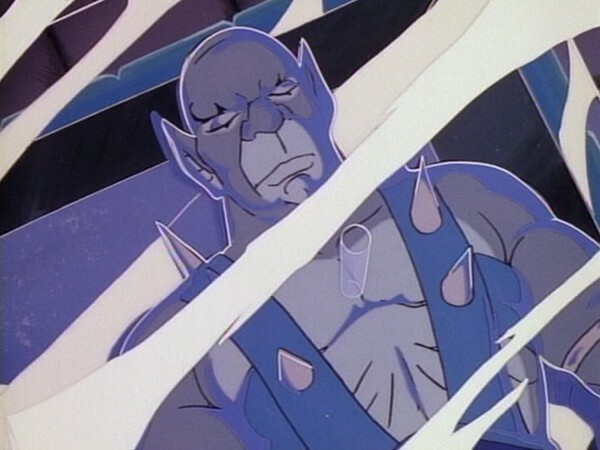 One of the most noteworthy of these is that Panthro’s clone is given life by the ghost of the Berserker leader, Hammerhand, thus revealing that he drowned when the Berserkers’ ship was capsized by the Thundertank in “The Terror of Hammerhand”. The issue of death is actually tackled in ThunderCats more often than one might think, and the reason it often slips by unnoticed is because of the sensitive way that it’s handled, this episode being a good example of that. 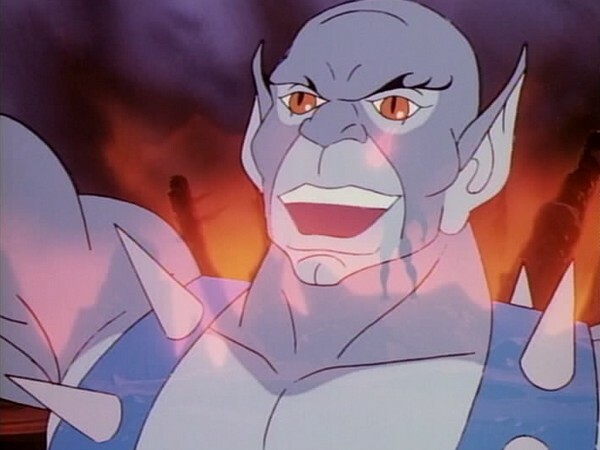 Another noteworthy scene is the one that takes place towards the end of the episode, when Panthro and his clone battle amidst a sea of flames, and the Panthro clone begins to burn. Although this is handled very delicately indeed, with the clone merely crying out in pain as his skin tone darkens significantly, nonetheless it is easily one of the more graphic scenes present in the ThunderCats series. 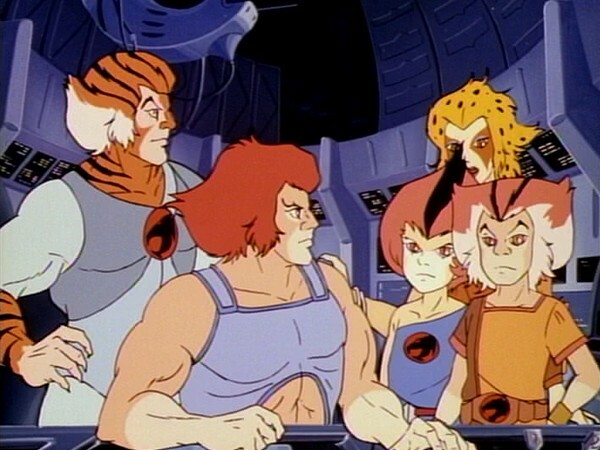 Another key element to this episode is a thread that runs through many of these early episodes, and that is the issue of trust between the ThunderCats and their new neighbors on Third Earth. 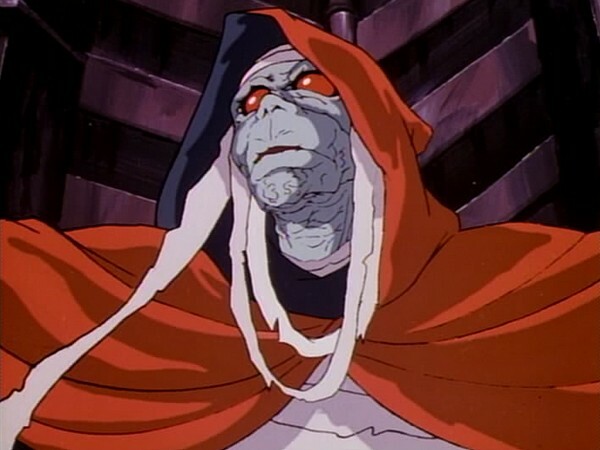 Part of what makes Mumm-Ra’s scheme so cunning is that in many ways the trust that the people of Third Earth have for the ThunderCats at this stage is still vulnerable. Whilst our feline heroes have fought hard to win over these people, and to a vast extent have in fact succeeded, nonetheless it’s highly plausible that seeing a ThunderCat spreading chaos and destruction would reaffirm the suspicions held by many of Third Earth’s races, thus playing right into Mumm-Ra’s hands. 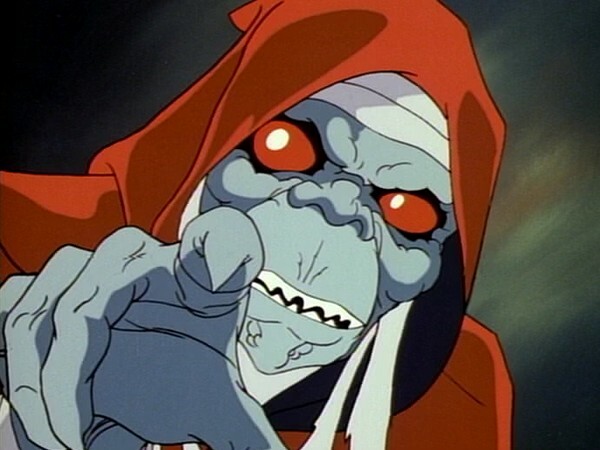 In many ways, it is Mumm-Ra himself who is the star of this episode. Throughout it, Earl Hammond’s fabulous voice acting for the devil priest positively drips with sinister evil and booms with commanding menace, and this performance is further enhanced by the eloquent dialogue given to Mumm-Ra in the script. Having the series’ lead villain oozing such gravitas really enhances the overall quality and impact of this episode, and stands in stark contrast to the comedic use of Mumm-Ra that we would see in some of the series’ later episodes. Delightfully dark and full of exciting, suspenseful action and a unique plot, “Spitting Image” perfectly encapsulates everything that ThunderCats should be—action-packed, fantasy storytelling at its very best! This episode marks the second appearance of Hammerhand—or, more specifically, the first appearance of Hammerhand’s ghost! The fact that Hammerhand appears as a ghost in this episode would indicate that he actually drowned following the Berserkers’ battle with the ThunderTank in “The Terror of Hammerhand”, marking him out as one of the only ThunderCats villains to die in the series. Rather oddly, Hammerhand would return once again in “ThunderCats Ho! Part One”, alive and well but with a different character design! 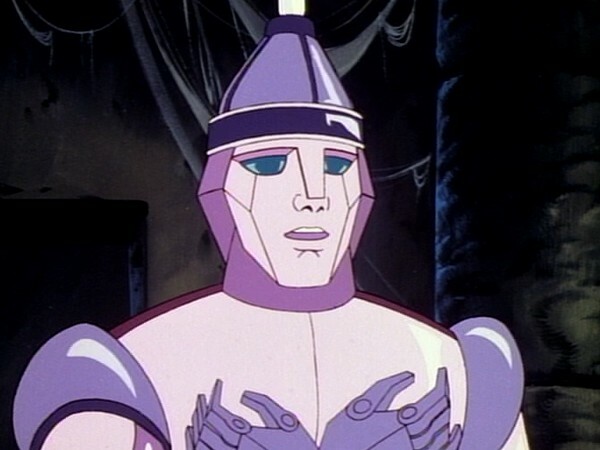 The Driller makes his first appearance in this episode as a mercenary in the employ of Mumm-Ra. Unlike many other guest characters, the Driller would actually make a few other appearances throughout the series. 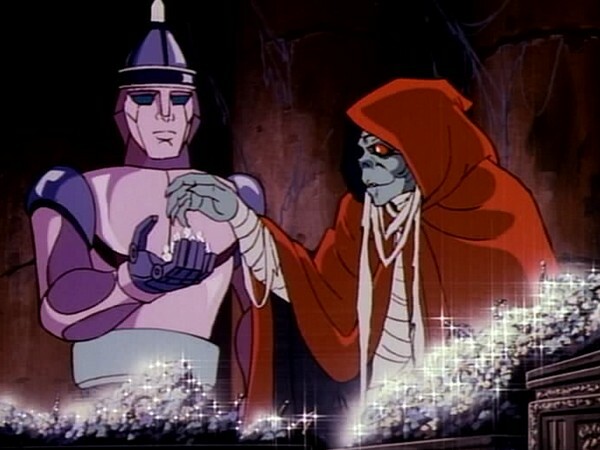 In this episode we are shown Mumm-Ra’s treasure room. This is the first time in the series that we are shown another room (as opposed to a corridor) in Mumm-Ra’s pyramid aside from the chamber that houses his sarcophagus. At the end of this episode, we see the Panthro clone badly burned, thus taking on a different color scheme with brown skin. 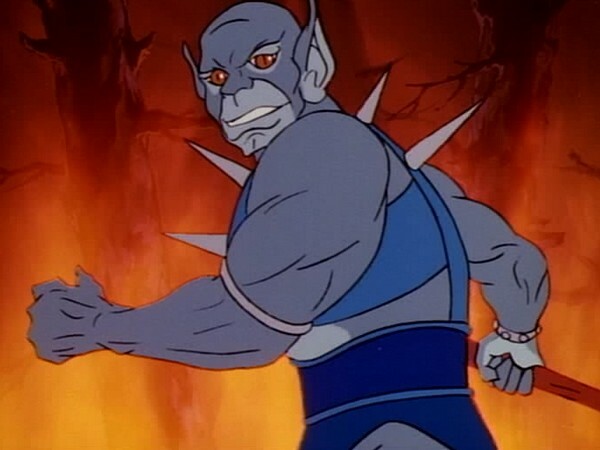 Although probably unintentional, in a way this pays homage to Panthro’s original character design, where it would appear his skin tone was intended to be brown. 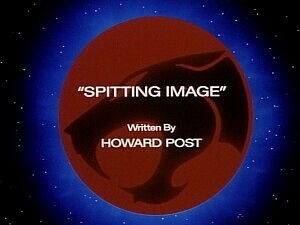 This is the first of two ThunderCats scripts to be penned by experienced writer Howard Post. Interestingly, both heavily feature the character of the Driller, the second of Howard Post’s episodes being “Return of the Driller”.